When Southern Legend enters his allotted barrier for the LONGINES Hong Kong Mile on Sunday, the bay will stand alongside 12 fellow challengers taking on a horse in process of being anointed to greatness around the Sha Tin stable yard. Beauty Generation's remarkable display in the G2 Jockey Club Mile two and a half weeks ago – on the back of two dominant weight-carrying feats – elevated John Moore's galloper to a hallowed tier. Last year's Hong Kong Mile hero is being talked about in the same breath as his mighty stable forerunner Able Friend, Hong Kong's all-time highest-rated galloper. 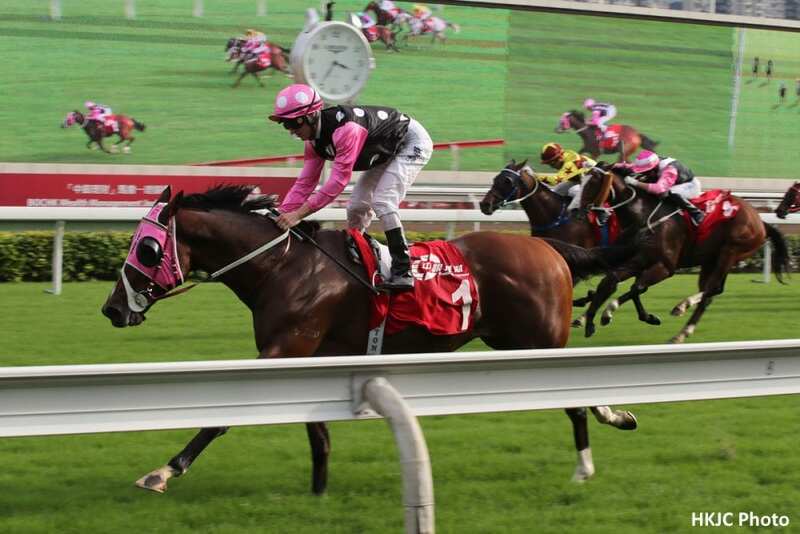 “Beauty Generation is there already, judging him on his three performances this season,” Southern Legend's trainer Caspar Fownes observed on Tuesday. Over-hype is the sports sphere's ubiquitous bore, so could it be that the building air of invincibility around Beauty Generation is being overblown? “No. Nothing in that race will beat him,” Fownes said. “He's just at a different level; he's got the real wow factor. He looks to be the horse for the next year and a half to two years. That he is – according to the numbers. Beauty Generation is currently rated 126 in the LONGINES World's Best Racehorse Rankings, one point lower than Able Friend's peak mark. He is the world's top-rated specialist turf miler, a perhaps convoluted way of saying he's the best horse this year to have raced at a mile on grass other than the phenomenal Winx, whose top rating of 130 came in the Queen Elizabeth Stakes. Fownes, who has declared Beauty Generation's performances this season to be “Winx-like” is not alone in believing his own horse is running for second place, despite the field featuring a slew of top-class gallopers, notably Japan's talented duo Persian Knight – perceived to be a serious danger – and Vivlos, and the European raiders One Master and Inns Of Court. Douglas Whyte has had a rear-end view of Beauty Generation from astride Southern Legend at his last two starts. The 13-time Hong Kong champion, who snared the latest two of his three HKIR wins in 2013 with Akeed Mofeed (Cup) and Glorious Days (Mile), echoed Fownes' take on the race. “Look, something's got to run second to Beauty Generation and he did last time so let's hope he can earn some prize money again,” Whyte said. Southern Legend, for his part, is in rude health for his upcoming task. The six-year-old won the Class 1 handicap on International day last year and progressed to finish a length and three quarters third to Beauty Generation in the G1 Champions Mile in April, before a landmark win in the G1 Kranji Mile in Singapore. “Looking back, he had a great prep and was consistent throughout last season – if you take that form to Singapore you're obviously a big chance. But now we're back in Hong Kong for the big one and it's a different proposition but we're looking for a first three to four finish with him,” Fownes said. Whyte, too is pleased with Southern Legend's wellbeing but does not believe his mount will find much, if anything, on his meritorious last start second in the Jockey Club Mile. “I think he's going in pretty much in the same kind of form. I don't think he can be much better than last time – he ran out of his skin,” the jockey said. Fownes, meanwhile, is without a win at the year-end showpiece since Lucky Nine took the 2011 Hong Kong Sprint. “I'm itching to get a top grader again. We've gone close a few times, running second on the big day – Military Attack, Green Birdie and the big horse, Thumbs Up,” he said. This entry was posted in NL List, Racing and tagged beauty generation, caspar fownes, Douglas Whyte, hkir, hong kong, hong kong mile, inns of court, jockey club mile, john moore, one master, persian knight, sha tin, southern legend, vivlos, winx by Hong Kong Jockey Club. Bookmark the permalink.